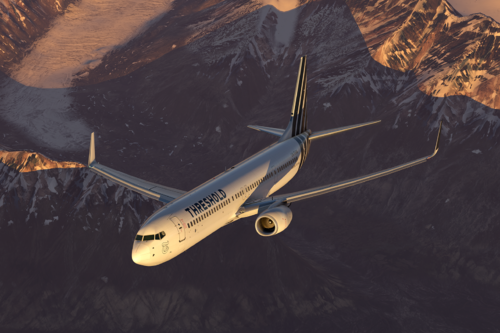 If you don't own the payware Boeing 757 like myself,this is not a bad substitute .This is very outstanding for freeware and I highly appreciate this being shared with the community.Even though its a Pre-Release go try it!!! Absolutely incredible plane to fly. Almost every single button is modeled and can be pressed. 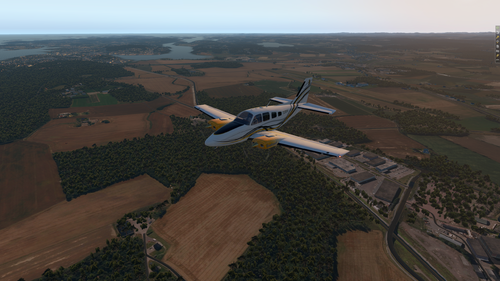 In my opinion, this plane is even better than certain payware aircraft. I have completed most of my flights in this plane since it is such a joy to fly. The texture work in this plane is incredible. I personally find it extremely difficult to believe that this plane is freeware, and anyone can fly it. I am very looking forward to the full release, and many more after that. Nicely designed, Great instruments, just amazing. I flew a quick circuit and found the plane very pleasant. Since I fly in VR, I noticed things that were missing in VR. I use PlaneCommand to control most of the knobs and switches - I speak and my virtual co-pilot carries out my commands. "Heading 270" amd the copilot echoes my command and changes the setting on the MCP. The numbers in the little windows roll to the new setting and the magenta line on the HSI also moves to the new heading. The Zibo does all this but the Ultimate doesn't. Most of the AP commands don't respond to voice. Since you guys work with Zibo, maybe you can find out how his plane works. I am using default PlaneCommand. 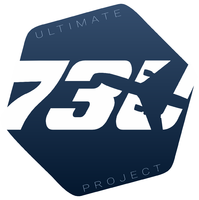 I just looked in the PlaneCommand folder and it has a X737.json file. I looked in that and the name filter was "B738" which meant that it loaded for Zibo's 738. So I made a new version with a name filter of "B739" so now I am going to load the plane and see if everything now responds to PlaneCommand. No, that didn't do it. If I ask for a different heading, the heading window changes 1 unit in the direction of the change - but just one degree. Same with altitude - it changes 1 foot. "landing lights on" turns on the lights, but "landing lights off" doesn't turn them off although my copilot says that he executed the command. Still, it's an impressive start and I like it. Will follow with interest. this eats ram space so if you only have 8gb ram like me (win64 OS+ background uses about 3-4gb) you have to deal with lower graphics or not use a scenery library. questo Aereo è veramente ottimo, ma la ruota sotto il muso del 737 non si muove e ciò compromette la manovra di taxi. spero che questa recensione possa rendersi utile. Autobrakes are to strong and speedbrakes are to weak. Not usable on VR... Knobs are too sensitive. All is fine with Zibo 737-800.